Winner of the Caldecott Honor! A young Indian boy from Nipigon country in the Canadian wilderness carves a twelve inch canoe with a kneeling Indian figure and frees it to undertake a journey to the Atlantic Ocean in his place. He must stay home and help his father, but yearns to learn about the world beyond his life in the village. Four years later, this tiny vessel reaches its destination ending a journey fraught with danger, excitement, and beauty. 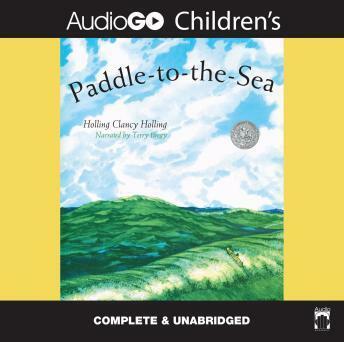 Taking the listener through the Great Lakes to the Atlantic Ocean, Holling Clancy Holling (1900-1973) gives us a treasure chest of geography and natural science wrapped in an unforgettably beautiful story. This timeless award-winning book has been a favorite of families for over 60 years. Recommended for Grades 3 and up. It took awhile for the kids to get into this book. They did like it overall.